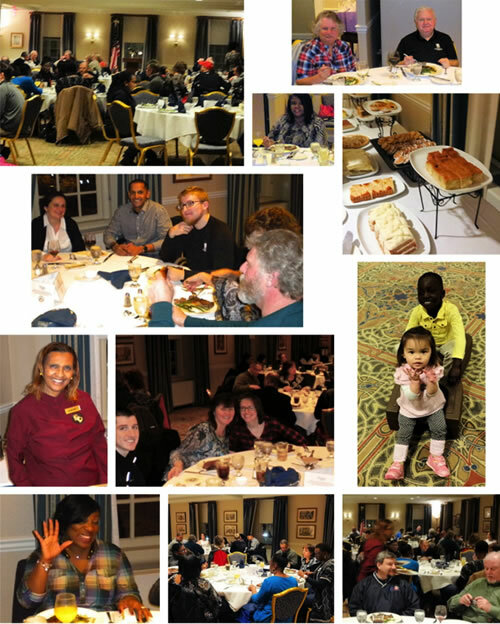 Aleethia’s “Friday Night Dinner” on January 15th was held at the Capitol Hill Club serving over sixty wounded/injured/ill service members, family members, caregivers and invited guests. It was a rainy and cold night outside but inside we were welcoming new and old friends, sharing stories, laughing and enjoying a sumptuous steak dinner which included a dessert buffet that was filled with too many choices!!! Thanks CHC and their staff for another wonderful evening!